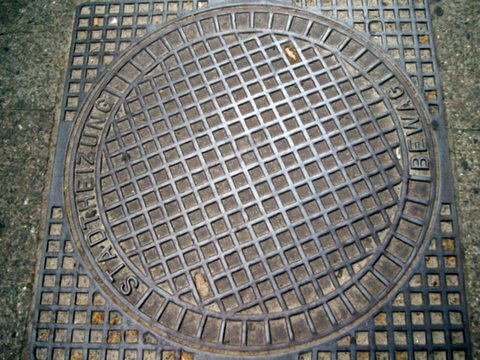 In which The Gay Recluse becomes increasingly obsessed with manhole covers. Here’s something you won’t typically read about in guidebooks to Berlin: the capital of Germany has some freakin’ kickass manhole covers! This is pretty much our favorite manhole cover these days. At 4′ by 4′, it’s not small, either.